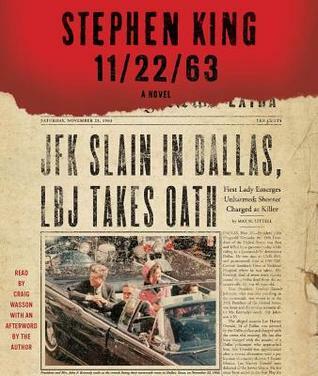 11/22/63 by Stephen King, narrated by Craig Wasson, is a time travel novel in which teacher Jake Epping is tasked with the impossible — stop the assassination of President John F. Kennedy. The local diner owner Al has the cheapest prices in town, but the town continues to speculate that his hamburgers are made from local cats and other pets. After reading a brilliant essay from a GED student, Epping finds himself embroiled in a secret that is almost too fantastical to be real. A bubble in the time line has enabled Al to return to 1958 repeatedly and buy the same cheap meat over and over. 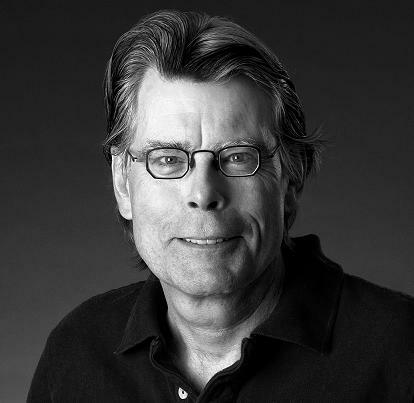 Although Epping — who begins to write a novel that’s eerily similar to that of King’s IT set in Derry, N.H. — agrees to check things out and try to determine if Oswald had worked alone in assassinating the president, he finds himself swept up in a life he could be happy in, even though there is no Internet. Although this book takes on the larger question of how one man could have impacted history had JFK lived and what would have happened had he not been killed and the country forced to mourn alongside his wife and child, King’s talent is in the small town experiences of that time period and the connections that seemed prevalent then that are not as present now. Epping is skeptical about his task and even as he makes changes to the lives he knows about in the now and some for the better, he’s still not convinced that he can accomplish the bigger task of stopping the assassination. And like many of us, Epping loses himself in the past — only in his case he literally loses himself. 11/22/63 by Stephen King is chock full of side stories, deeply sketched characters, and small town nuance. Although there are a number of characters, readers can follow along from time line to time line because the “past harmonizes,” and readers are likely to be swept up into the story with little issue. King is a master storyteller, which is a statement that I probably have beaten into your heads by now, so don’t miss out on his books any longer. They’re an investment worth making.